Duncan Foley is the Leo Model Professor of Economics at the New School for Social Research, having joined the faculty in 1999. He is also External Professor at the Santa Fe Institute. He received a PhD in Economics from Yale University, and has taught at M.I.T., Stanford, and Barnard College of Columbia University. 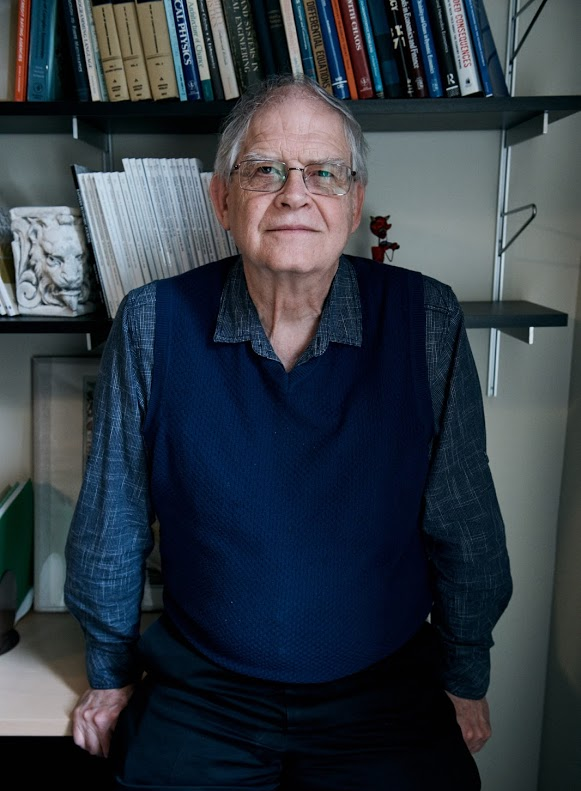 Professor Foley's interests in economics center on economic theory, political economy, the history of economics, mathematical modeling, and the foundations of statistical reasoning. Recent research includes work on modeling mammalian brain clock, the economics of global warming, economics and thermodynamics, Marxian value theory, social coordination problems, and Bayesian approaches to theory choice. Learn more on his personal homepage. Concentrations: Classical, neoclassical, and Marxian economic theory; political economy; monetary economics; economic complexity; global environmental economic policy. Adam's Fallacy: A Guide to Economic Theology, Harvard Universtiy Press, 2008. Unholy Trinity: Labor, Capital, and Land in the New Economy, Routledge, 2003. Growth and Distribution, coauthor with Thomas Michl, Harvard University Press, 1999. Barriers and Bounds to Rationality: Essays on Economic Complexity and Dynamics in Interactive Systems, editor and coauthor with Peter S. Albin, Princeton, 1998. Understanding Capital: Marx's Economic Theory, Harvard University Press, 1986. Rezai, A., L. Taylor, and D. K. Foley. Economic growth, income distribution, and climate change. Ecological Economics 146, April 2018, 164–172. Scharfenaker, E. and D. K. Foley. Quantal response statistical equilibrium in economic interactions: Theory and estimation. Entropy 19 (9), 2017. Broome, John. and Foley, Duncan K. "A world climate bank." In I. Gonzalez-Ricoy and A. Gosseries (Eds. ), Institutions for Future Generations. Oxford University Press, 2017. "What is the Labor Theory of Value and What is it Good For?" in Giuseppe Freni, Heinz D. Kurz, Andrea Mario Lavezzi and Rodolfo Signorino (eds.) Economic Theory and its History, Routledge, 2016. "Keynes' Microeconomics of Output and Labor Markets," in Lucas Bernard and Unurjargal Nyambuu (eds. ), Dynamic Modeling, Empirical Macroeconomics, and Finance: Essays in Honor of Willi Semmler, Springer, 2016. "Varieties of Keynsianism," International Journal of Political Economy, 43(1), 2014. "Rethinking Financial Capitalism and the 'Information' Economy," Review of Radical Political Economics, 45(3), 2013. Foley, D.K., Rezai, A., and Taylor, L. The social cost of carbon emissions: Seven propositions. Economics Letters, 121(1), 2013. Basu, D., and Foley, D.K. "Dynamics of output and employment in the US economy," Cambridge Journal of Economics 37(5), 2013. "The long-period method and Marx's theory of value," in Volker Caspari (ed. ), The Evolution of Economic Theory: Essays in Honour of Bertram Schefold, Routledge, 2013. "Away, Market Taketh: The Anatomy of Financial and Economic Crisis" in Martin H. Wolfson and Gerald A. Epstein (eds. ), The Handbook of the Political Economy of Financial Crises, Oxford, 2013. Smith, E., Foley, D.K., and Good, B.H. "Unhedgeable shocks and statistical economic equilibrium," Economic Theory 52(1), 2013. "Dilemmas of economic growth," Eastern Economic Journal 38(3), 2012. "The political economy of postcrisis global capitalism," South Atlantic Quarterly 111(2), 2012. Nikiforos, M., Foley, D.K. "Distribution and capacity utilization: conceptual issues and empirical evidence," Metroeconomica 63(1), 2012. Rezai, A., Foley, D.K., Taylor, L. "Global warming and economic externalities," Economic Theory 49(2), 2012. Taylor, L., Rezai, A. Foley, D.K. An integrated approach to climate change, income distribution, employment, and economic growth. Ecological Economics (121)196-205, 2010. "What's wrong with the fundamental existence and welfare theorems?" Journal of Economic Behavior and Organization, Vol.75, 2010. "The Economic Fundamentals of Global Warming," in Jonathan M. Harris and Neva R. Goodwin (eds.) Twenty-First Century Macroeconomics: Responding to the Climate Challenge, Edward Elgar Publishing, 2008. "A Statistical Equilibrium Theory of Markets," Journal of Economic Theory, Vol. 62, Iss. 19, (April, 1994), 321-44. "Recent Developments in Economic Theory," Social Research, Vol. 57, Iss. 3 (1990), 665-687. Impact of global environmental policy on technical change; models of production in real time; statistical equilibrium economic modeling; Smithian economic growth.